The final approval for the project is expected from the environment ministry’s Forest Advisory Committee which is set to clear the diversion of forest land. Over 18 lakh trees are to be felled and 6,017 hectares (ha) of forest land—majority of it from Panna tiger reserve—diverted for the Ken-Betwa river link project that would irrigate 6.35 lakh hectares of drought-prone Bundelkhand and provide drinking water to over 13 lakh people in the under-developed region.The final approval for the project is expected from the ministry of environment and forests’ apex clearance body, the Forest Advisory Committee (FAC), which will meet in New Delhi on May 16.As per documents sourced from the ministry, at full reservoir level, 18,04,962 trees will be felled/affected in Ken-Betwa project, which also requires the diversion of 6,017 ha in Panna, Chhatarpur and Tikamgarh districts to the National Water Development Agency. The Ken-Betwa link envisages diversion of surplus Ken basin water to the Betwa basin at an estimated cost of Rs 18,057 crore. A 77-metre high dam, namely Daudhan is proposed across Ken, about 2.5 km upstream of the existing Gangau Weir.The reservoir requires submergence of 9,000 ha, of which 5,803 ha is in Panna reserve. 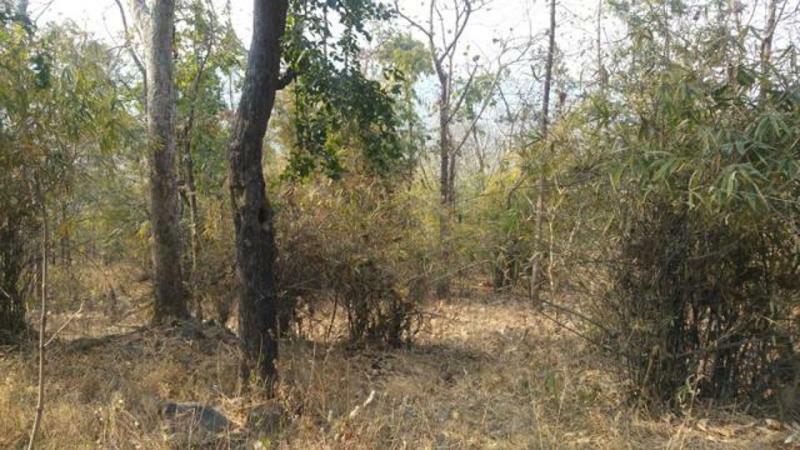 Overall, the project would submerge 6,017 ha of forest land and 5,967 ha of non-forest land.In Panna, it would submerge 55.78 sq km (10.07%) of critical tiger habitat (CTH), besides the vast tree species, which has wildlife lovers concerned. According to official sources, the tree species that would be felled or affected are Tectona grandis, Terminalia arjuna, Diospyros melanoxylon, Madhuca indica, Accacia catechu, and others.Wildlife activist Ajay Dubey said Panna Tiger reserve was part of the Panna biosphere reserve which has a rich biodiversity of 1,255 species of plants, 34 mammalian species and over 280 species of birds. However, the loss to the Panna tiger reserve in terms of area and quality will be made good by adding additional area to the reserve as recommended by National Tiger Conservation Authority (NTCA), said a senior wildlife official in Madhya Pradesh.The Expert Appraisal Committee of the environment ministry had recommended clearance in December 2016 with certain conditions. The standing committee of National Board for Wildlife (NBWL) also recommended clearance in August last year. The FACE had constituted a committee in November last year to inspect the site, verify relevant documents/reports. The committee visited the area in January and the FAC recommended clearance for the forest land diversion in March.Though there was a suggestion to reduce the height of the proposed Dhaudan dam by a few metres to help save some precious forest in Panna from submergence, the Union water ministry reportedly was not in favour of this.According to officials, such forest areas are not usually considered for diversion as they are ecologically very sensitive areas.But what weighed in favour of such a diversion was the special objective of the project to provide water to water-scarce economically backward Bundelkhand.